These verses were lived out before my eyes this weekend and I really want to grab someone right here in the airport and share God’s faithfulness! “The Lord is gracious.” Psalm 145:8 is written above the slider in our prayer/sunroom. Everyday I am reminded of where I was when God found me and how He has shown me grace over these past nineteen years. 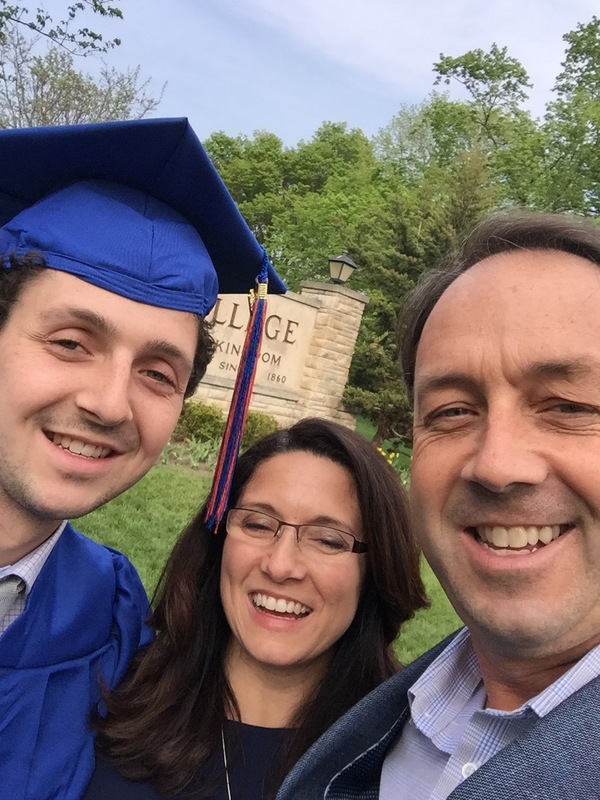 In the same way, when our oldest son, Sean, graduated from Wheaton College on Mother’s Day I was overwhelmed with God’s grace once again. Now, while contiplating the “what ifs,” I know my reality is so altered from the path I was on before God saved me. Back then I was headed for divorce, single parenting, possible poverty and definitely depression and hopelessness. Fortunately, I was attending a local Mother’s of Pre-Schoolers group where I heard the Gospel many times. Then, one rainy night, alone with my babies, I was made new. The Lord graciously gave me what author Jennifer Kennedy Dean calls a Blood transfusion; new life in Jesus Christ! It was that fast – a blink of an eye and I was forever changed. The best part was the cleanness I experienced that filled me with unexplainable joy. I was forgiven! Yes, it was painful being born again. The Lord brought to mind so many sins, things I had done that hurt others and offended God and my utter helplessness to change because I was dead inside. I was heartbroken and mourned the ugliness of it all. But God did not reveal this to me to condemn me but to forgive me. He literally gave me a New Spirit, life in Christ! Because He lives I live also! Since then, over the past nineteen years, I have traveled some bumpy roads, made many mistakes and shown weakness and a lack of faith when it came to my children. Yet, God is faithful! In spite of my weakness He has carried us through to a fruitful end. Still, obedience has never come easy for me. (Fortunately, God is constantly changing that too!) But, the love God has for me and the love I have for him manifests itself in obedience. In other words, obedience is the way I express my love for the Lord. The more I understand how deeply He loves me the more I want to obey Him. “The Love of Christ controls me!” 2 Corinthians 5:14.In retrospect, the celebration of our son’s graduation is like an Ebeneazer stone. It is a reminder of how very faithful, sovereign and good God is and how He blesses even clutzy obedience. I know God’s ways are best even if I do not understand. I know God loves my children WAY more than I do because His motives are always pure. My prayer is that, knowing who God is, you and I will continue to bend our knees in obedience, surrendering to the One Who loves and knows best, forever and always, Amen!